Il-qoxra tal-pjan nazzjonali għat-trasport intitolat National Transport Master Plan 2025 fuq nett juri l-emblema tal-Fond Ewropew għall-Iżvilupp Reġjonali biex jurina li kien iffinanzjat minn fondi tal-Unjoni Ewropea. Dan il-pjan li hu ppubblikat minn Transport Malta kien iffinalizzat f’Ottubru 2016. Iċ-Chairman (u CEO) ta’ Transport Malta, jgħidilna f’dikjarazzjoni stampata qabel il-pjan, li l-iskop tal-pjan hu biex itejjeb il-kwalitá tak-ħajja tagħna. Wieħed mill-oġġettivi ta’ dan il-pjan li ftit nisimgħu dwaru huwa dak li jfittex li jipprovdi alternattivi għall-użu ta’ karozzi privati biex tkun inkoraġġita mobilitá sostenibbli u bħala riżultat tonqos id-domanda għall-karozzi fit-toroq tagħna. Billi, kif anke jgħidilna l-pjan innifsu, madwar nofs il-vjaġġi bil-karozzi privati idumu inqas minn kwarta, nistgħu nikkonkludu li l-mobilitá meħtieġa hi waħda ta’ natura lokali u dan għal distanzi ferm qosra. Xi bżonn għandna ta’ karozzi privati għal dan? Il-mezzi ta’ transport alternattiv mhumiex biżżejjed għal dawn il-ħtiġijiet f’pajjiż fejn prattikament kullimkien hu tefa’ ta’ ġebla ‘l-bogħod? Din hi l-problema rejali tat-toroq Maltin: l-imġieba u l-aspettattivi tagħna. Il-konġestjoni tat-traffiku hi fil-fatt il-konsegwenza ta’ din id-dipendenza tagħna fuq il-karozzi privati. Sfortunatament il-proġetti massiċċi li jindirizzaw l-infrastruttura tat-toroq, kemm dawk li bdew kif ukoll dawk ippjanati, jinjoraw kompletament din id-dipendenza u minflok jiffukaw fuq il-ħtieġa immaġinarja ta’ żieda fil-kapaċitá tat-toroq. Mela l-politika dwar it-trasport tagħna, flok ma tindirizza dak li qed joħloq il-problemi tal-mobilitá, qed tiffoka fuq l-effetti bit-tama li tnaqqashom. Dan sakemm l-effetti jerġgħu jakkumlaw u mbagħad ikun ovvjament wasal iż-żmien għal iktar toroq u flyovers! Viżjoni mċajpra iktar minn din għad irrid nara! Dan l-investiment massiv fl-iżvilupp ta’ iktar toroq qiegħed jibgħat messaġġ wieħed, li jkolli ngħid qiegħed jinftiehem b’mod ċar ħafna: il-karozza privata hi l-mezz preferut tal-Gvern Malti għat-trasport. Dan hu l-iktar mod faċli kif tindirizza l-problema: għax bil-flus it-toroq mhux fil-baħar biss tbniehom. B’hekk ikun evitati d-diffikultaiet kbar biex ikunu indirizzati l-attitudnijiet u l-imġiba tagħna lkoll. Attitudnijiet u mġiba li huma r-reazzjoni tagħna, bħala komunitá, għan-nuqqas tal-istat Malti (fuq perjodu twil ta’ żmien) li jindirizza l-ħtiġijiet tagħna għal mobilitá sostenibbli. Meta l-istat jibgħat messaġġ daqshekk ċar jkun qiegħed jinnewtralizza l-impatti posittivi kollha tal-ftit inizjattivi (b’finanzjament relattivament limitat) favur il-mobilitá sostenibbli. Dawn jinkludu, fost oħrajn, sussidji għat-trasport pubbliku, inċentivi biex jinxtraw ir-roti u sussidji biex jinħolqu l-faċilitajiet neċessarji għal xowers fuq il-post tax-xogħol bħala inkoraġġiment għal min irid imur ix-xogħol bir-rota. Madwar erba’ snin ilu, l-Istitut għall-Iżvilupp Sostenibbli u t-Tibdil fil-Klima tal-Universitá ta’ Malta kien ippubblika studju li kien ġie ffinanzjat mill-Unjoni Ewropea li kien intitolat The External Costs of Passenger and Commercial Vehicles Use in Malta. Dak l-istudju kien ikkonkluda li l-konġestjoni tat-traffiku kien qed jiekol 1.7% minn dak kollu li jipproduċi l-pajjiż fis-sena. Ma jkunx forsi aħjar kieku flok ma nibqgħu iffissati fuq in-numru u l-qisien tat-toroq inħarsu ftit fil-mera u nirrealizzaw li l-problema mhux it-toroq imma aħna u l-imġiba tagħna? Id-dipendenza tagħna fuq il-karozzi teħtieġ kura mingħajr iktar dewmien. The front cover of Malta’s National Transport Master Plan 2025 boldly bears the logo of the European Regional Development Fund, indicating that it was funded by European Union funds. This Master Plan, published by Transport Malta, was finalised in October 2016. The Transport Malta Chairman and CEO, in the statement preceding the actual text of the said Master Plan emphasises that it is fundamentally “about improving the quality of life of our citizens”. One of the objectives of the Master Plan which we do not hear much about is the one that seeks to provide alternatives to private vehicles in order to encourage sustainable travel patterns and thus reduce private vehicular demand. Given that, as pointed out by the Master Plan, 50 per cent of trips with private cars are of under 15 minutes duration, it follows that mobility is primarily local in nature and on very short routes. Do we need private cars for this? Are not alternative means of transport sufficient for this need (and more) in a country where practically everywhere is within a stone’s throw? We have become too dependent on private cars. The Maltese traveller, we are informed by the Master Plan (page 88) expects that everyone else will change their travel habits so that they can continue to drive their car. This is the real problem with our roads: our behaviour and our expectations. Traffic congestion is, in fact, the result of this addiction to private vehicles. Unfortunately, the massive infrastructural road projects planned or in hand ignore this national addiction and instead focus on the perceived need of removing bottlenecks through an increased road capacity. Instead of transport policy being focused on the causes of our mobility problems, they are more focused on reducing the impacts of the effects. That is until such time that the effects increase once more – at which point it would be time for more roads and obviously more flyovers! A truly myopic vision. Too little investment is made by the state on the need to cure us of our addiction. This massive investment in road development sends one clear message: the private car is the Maltese government’s preferred mode of transport. This attitude is clearly the easy way out as it throws money at the problem of congested roads and avoids the very difficult task of addressing our attitudes and behaviour. Our attitudes and behaviour are an accumulated response of the country’s sustainable mobility requirements to the state’s neglect over a long time. When the state sends out such a clear message it neutralises the positive impact of the few under-funded initiatives which promote sustainable mobility. These include, among others, public transport subsidies, incentives to purchase bicycles and subsidies for the creation of facilities such as showers at places of work encouraging cycling to work. Some four years ago, the University of Malta’s Institute for Sustainable Development and Climate Change published an EU-funded study entitled The External Costs of Passenger and Commercial Vehicles Use in Malta. The conclusions of that study had indicated that, every year, traffic congestion in Malta gobbles up 1.7 per cent of our GDP. Isn’t it about time that we start tackling the issue seriously, which means focusing on our attitudes and behaviour instead of on the number and dimensions of our roads? Our addiction to cars needs a cure. Mela mill-Munxar hemm applikazzjoni (PA2406/18) quddiem l-Awtoritá tal-Ippjanar biex f’razzett eżistenti tkun żviluppata demmiela li tiġbor fiha d-demel minn numru ta’ irziezet. Issa dan ir-razzett fejn iridu jagħmlu din id-demmiela huwa viċina ħafna taż-żona residenzjali. Imma xi snin ilu kienu intefqu ammont sostanzjali ta’ fondi Ewopej (qaluli madwar €500,000) biex Triq Żgħawri tkun “upgraded” minħabba li kienet qed tiġbed ħafna nies għal mixjiet fil-kampanja. (ara ritratt) Il-fondi ġew mill-European Agricultural Fund for Rural Development : Axis 3, Improving the Quality of Life in Rural Areas! L-applikazzjoni għadha fil-bidu u bħalissa qed niġbor l-informazzjoni għax ġejt mitlub minn xi residenti tal-Munxar ħalli nippreżenta oġġezzjoni f’isimhom quddiem l-Awtoritá tal-Ippjanar. Id-demmiela mhux postha fi Triq Żgħawri. Jekk ifittxu sew bla dubju jsibu post addattat li ma jagħti fastidju lil ħadd. 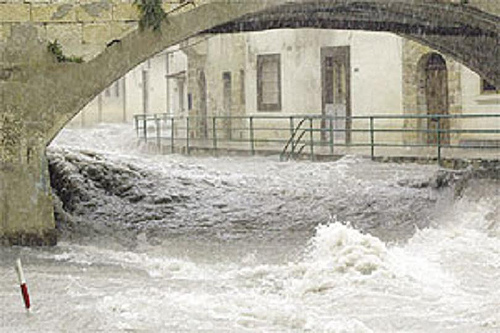 At the time of writing the average rainfall in Malta from 1st September 2014 to date is recorded at 442.4 mm. The actual rainfall varies from a high of 529.6mm recorded at Selmun to a low of 373.7mm noted at Valletta. With still some months to go, it seems that precipitation in the Maltese islands during the current year will shortly exceed the average annual precipitation of 553.12mm, computed by Charles Galdies in his National Statistics Office publication entitled The Climate of Malta: statistics, trends and analysis 1951-2010. It will however be far short of 955.62mm, the maximum recorded precipitation in Malta which was recorded at Luqa Airport in 1951. Since 1880, legislation in Malta has specifically provided for the construction of water cisterns in buildings, primarily residential ones. The dimensions of these water cisterns varied over time. Originally they were related to the floor area of the residential building. Recently, the required volume was reduced to be related to the footprint of the building. These regulatory provisions are however more honoured in the breach, even when reduced. This is not a recent phenomenon. Regulatory control in Malta has been in decline since the 1960s building boom. Instead of being collected in rainwater cisterns, in an ever increasing number of cases, rainwater is discharged directly onto our roads, or else into the public sewers. As a result, navigating some of our roads during or immediately after heavy rainfall is a dangerous exercise. This is a case of water literally going down the drain. Large volumes of storm water, which can be utilised for various purposes, are being wasted. Much has been written about the potential use of harvested rainwater. Its use domestically can substantially reduce water bills. It is also an issue of civil protection. Large quantities of rainwater in our streets, at times moving at an excessive velocity, are a danger to life and limb. Fortunately, it is very rare for people to lose their life in storms in Malta, but damage to property is a more frequent occurrence. When rainwater is discharged into our overburdened public sewers, not only does the water overflow onto our streets, but it also increases the costs of sewage purification unnecessarily. These costs are recovered through our water bills. Hence, in the end, we all pay the costs of this abuse, irrespective of whether we are participants or not. The major culprits are a substantial portion of the developers of blocks of flats and maisonettes. The government, directly, as well as through its agencies, has also been responsible for the development of housing estates without providing for rainwater harvesting. In particular, it is common knowledge that in cases where basement or semi-basement garages are constructed, the duty to provide for rainwater harvesting is very rarely complied with. Since 1992, MEPA has been responsible for determining and ensuring the observance of the conditions of development permits, which in most cases, specify the required capacity of a rainwater cistern. The Water Services Corporation (WSC) has during the last years, taken over the responsibility for the management of the public sewers from the former Drainage Department. This responsibility includes authorising owners of newly- constructed properties to connect the drains with the public sewer. Is the WSC verifying that it is only the drains that are connected and, in particular, that rainwater pipes are not connected to the public sewer too? The obvious answer is provided by our streets on a rainy day. No one is bothering to check what is connected to the public sewer . This leads to the conclusion that, while the culprit for the present state of affairs is the building industry as, more often than not, it does not provide for rainwater storage in new developments, it is not the only one to blame. The authorities and government departments must take a substantial share of the blame for not shouldering their regulatory responsibilities. They could have stopped the abuse, but they did not. 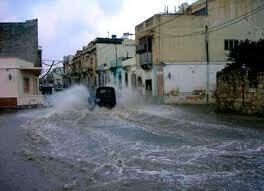 A number of areas are practically out of bounds whenever heavy or continuous rainfall hits the Maltese islands. This is a source of danger and, in fact, the Civil Protection Department is heavily involved in assisting residents or motorists who are trapped as a result of flooding. The Birkirkara local council had, some years back installed a storm warning system to alert residents and passers-by that, “danger was on the way”! Public authorities in Malta, unfortunately, have developed the habit of dealing with the effects but continuously ignore the cause of flooding! Monies made available by the EU have been used to fund a project for the construction of underground tunnels through which it is planned to collect rainwater from our streets and roads and to discharge most of the collected storm water into the sea. 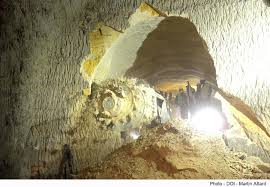 The EU funds utilised in the construction of these tunnels have been utilised to squander a very precious resource. European taxpayers’ monies too have been flushed down the drain. They could have been put to a much better use if they had been applied to address the lack of adequate rainwater harvesting in our towns and villages. We have been inundated with political speeches lauding sustainability and sustainable development. However, when push comes to shove, it is more than amply clear that this is just a case of some Members of Parliament showing off a newly-acquired vocabulary they have not yet understood. In 2015, Malta still lacks a sustainable water policy. 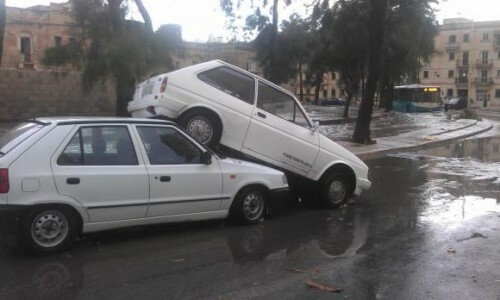 Spikkat l-aħbar il-bieraħ li x-xogħol fuq il-mina ta’ tnax-il kilometru li ser tiżbokka f’Ta’ Xbiex biex ittaffi l-impatt tal-għargħar wasal fl-aħħar. Din il-mina ser isservi biex fiha jinġabar l-ilma tax-xita li jkun għaddej mit-toroq. Il-parti l-kbira ta’ dan l-ilma ser jintefa l-baħar. Il-Gvern qiegħed jiftaħar li dan l-ilma tax-xita ser jintefa’ fil-baħar. Tajjeb dan? Dan hu ħela ta’ riżorsi u ma nistax nifhem min kien dak l-għaref li approva li juża’ l-miljuni ta’ euros f’fondi Ewropej biex narmu dan l-ilma tax-xita l-baħar. Il-parti l-kbira ta’ dan l-ilma tax-xita ikun fit-toroq minħabba li ħafna bini li inbena matul dawn l-aħħar 50 sena huwa mingħajr bir. Għal din ir-raġuni l-ilma tax-xita mill-bjut ta’ dan il-bini jispiċċa fit-toroq jew jintefa’ fid-drenaġġ li għax ma jlaħħaqx ifur fit-toroq ta’ diversi lokalitajiet. Mela meta l-Gvern (ta’ Gonzi) ta’ bidu għal dan il-proġett kien qed jagħmel tajjeb għall-abbużi li saru mill-industrija tal-bini tul dawn l-aħħar 50 sena. Il-Gvern sikwit jipprietka li min iħammeġ għandu jnaddaf (the polluter pays). Allura għax ma darx fuq min kien responsabbli u ġiegħlu jerfa’ l-konsegwenzi ta’ egħmilu? Flok ma mexa b’responsabbilta, l-Gvern daħħal idejh fil-but tagħna u mill-kaxxa ta’ Malta kif ukoll mill-fondi Ewropej qed jagħmel tajjeb għall-ħsara kbira li l-industrija tal-bini għamlet tul is-snin. Din ir-realta’ ma jgħidulkomx biha meta jkunu qed jippużaw għar-ritratti. Hurricane Sandy swept through the states of New York and New Jersey making it clear to all that the forces of nature, amplified and stronger as a result of climate change, will spare no one. The impacts of climate change are here for all to see. The destructive power of nature is being made incrementally worse by a warming climate. In 2012, it was Hurricane Sandy that wreaked havoc on New York and New Jersey. In 2005, it was Hurricane Katrina that devastated New Orleans. The havoc left behind in New York and New Jersey has been documented by the visual media. Less evident was the damage and misery in Haiti and neighbouring Caribbean countries. Nature does not discriminate; it does not distinguish between rich and poor. Nor does it distinguish between developed and undeveloped countries. It sweeps away all that lies in its path. Large areas of New York were without electricity. Over 40,000 New Yorkers were homeless as a result of Hurricane Sandy. This made the news. However, disaster-stricken Haiti has been hit much harder. More than 200,000 Haitians already in makeshift homes as a result of the 2010 earthquake are now homeless. A cholera outbreak in Haiti could be made worse by floods. Haiti, which is an agricultural economy, has also suffered a large loss of crops. This will lead to food shortages compounding the misery of an already impoverished nation. Meteorologists have commented that more hurricanes are occurring late in the season, even after their “normal” season has ended. A 2008 study had pointed out that the Atlantic hurricane season seems to be starting earlier and lasting longer. Normally, there are 11 named Atlantic storms. The past two years have seen 19 and 18 named storms. This year, with one month to go, there are already 19 named storms. It is not only in the Atlantic that the climate is changing. Earlier this month, the Meteorological Office informed us that, in Malta, October 2012 was the sixth hottest month on record since 1922. With an increased frequency we too are witnessing more intense storms, which are playing havoc with an ill-prepared infrastructure. The civil protection issues resulting from flooding will be hopefully addressed through storm-water relief projects substantially funded by the EU. While this will go a long way towards reducing damage to life and limb, it addresses the effects while leaving the causes of flooding largely unaddressed. Malta’s climate change adaptation strategy, adopted some time ago, had pointed towards the issue of rainwater harvesting, which has not and still is not given due importance in new developments both those on a large scale as well as those on a much smaller scale. 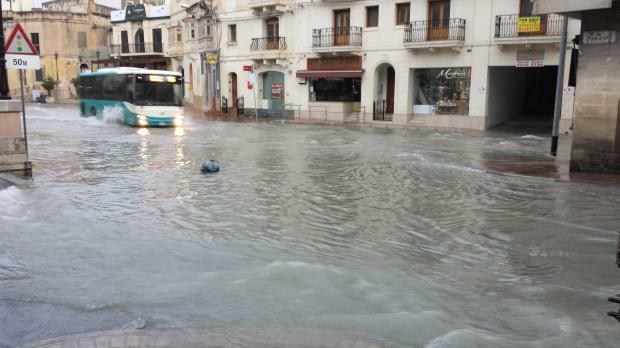 The lack of application of rainwater harvesting measures through the construction of appropriately-sized water cisterns is an important contributor to the flooding of Malta’s roads and the overflowing public sewers whenever a storm comes our way. This occurs irrespective of the severity of the storm. Addressing this cause would go a long way towards reducing the volume of storm water that has to be contained to prevent it from causing damage. By now it should be clear that there is no political will to address the issue as such a measure would entail taking action against developers (large and small) who did not provide rainwater harvesting facilities in their quest to increase profits (or reduce costs) in their land development projects. This has been the unfortunate practice for the past 50 years. Old habits die hard. The expenses required to tackle a principal cause of the problem has been shifted from the developers onto the public purse, this including the EU funds being utilised. This expense has to make good for the accumulated (and accumulating) incompetence in rainwater management by focusing on the effects but simultaneously ignoring the causes. Therefore, when one speaks on the devastating impacts of nature and climate change it should be realised that some of these impacts are being amplified as a result of the way in which successive governments have mismanaged this country’s resources. The impacts of flooding are the ones which leave a lasting impression due to their detailed documentation by the media. There are, however, other impacts that are as important and in respect of which a public debate is conspicuously absent. I refer in particular to the impact of rising temperatures on agriculture and health. Higher temperatures will slowly change our agriculture as the type of crops that can withstand higher temperatures are generally different from those which are currently prevalent. In addition, higher temperatures means that we will have some alien insects flying around, some of which are disease carriers. Not discussing these issues does not mean that they will disappear. It only means that we are ill-prepared for the inevitable impacts and the necessary changes. There is much to be done. So far, we have barely scratched the surface.